A book report about a novel, such as Louisa May Alcott's Little Women, should consist of a description and analysis of the novel's literary components, including plot, characters, and theme. A college book report shouldn't be a retelling of the story, but a critical analysis. Who are the characters? What are their traits and attributes? What are the major themes, symbols, and conflicts? Asking and answering your own, pertinent questions will not only help you to understand and interpret the novel, but doing so will also provide you with ample "talking points" throughout your book report. After you read the novel, try mind mapping to help you structure your information. Pictured here is a mind map that you can use for a character analysis. In the book located at the top of the map, write the name of the character you'll be describing. For example, one of the characters in Little Women is Jo. 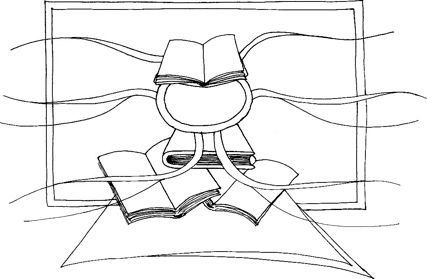 Use the flowing lines extending from either side of the book to write about Jo's characteristics. Do this for all of the characters you'll discuss in your book report. 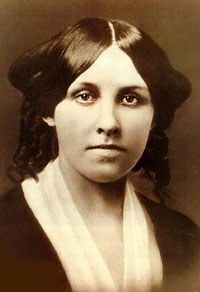 Louisa May Alcott (1832-1888) was an American novelist, short story and fairy tale writer, poet, essayist, editor, and dramatist. She has often been praised for creating realistic characters who sometimes speak ungrammatically and behave badly. Although she defied the prevailing rules for children's literature in the nineteenth century by creating these flawed though likeable characters, readers could identify more with them than with the angelic, adult-like children common in the literature of the period. "Louis May Alcott's sentimental and moralistic autobiographical novel, Little Women, is a coming of age story that portrays nineteenth-century family life." Little Women is told from the point-of-view of an omniscient narrator, and focuses on the March girls—motherly Meg, tomboyish Jo, gentle Beth, and artistic Amy—who live with their mother (whom they call "Marmee") in a small house in Concord, Massachusetts. The book's second part, called "Good Wives," was published a year after the first. Little Women centers on the efforts of each of the four March sisters to overcome her particular "burden" or weakness. At the end of the first half of Little Women, each of the girls has improved, though none has attained perfection. In the second section, the girls' characters develop further as they grow old enough to work, travel, and marry. Spirited, tomboyish Jo March—the second oldest sister—is based on Alcott herself and is considered, not surprisingly, her most successful character. Jo likes to write and devise plays for the sisters to perform; later, she helps support the family by selling her stories to newspapers. She is adventurous and spirited, and according to the novel's narrator, Jo is "fast brushing the innocent bloom from her nature" (349). The girls' beloved mother, Marmee, is the emotional mainstay of the March family. She represents the Victorian ideal of motherhood in her strength, wisdom, and unbending love. Selflessly devoted to her family, Marmee serves not only as a source of knowledge for her daughters, but also their sympathetic confessor and confidante. She inspires them to better women. Lions — Two lion statutes are at the front of the Laurence mansion and symbolize the socio-economic status differences between the Marches and Laurences. Umbrella — In the novel, there's a reference to holding the umbrella. The umbrella symbolizes protection and care in the form of love, food, and shelter that a man provides for her family. Personal Conflict — Jo and Laurie were conflicted over their love for each other. Laurie loved Jo, but Jo didn't have the same feelings. The resolution occurred when Laurie married Amy and Jo married Mr. Bhaer. Woman vs. Nature — Beth's conflict was with her illness, scarlet fever. Although she partially recovered, the resolution was that she eventually died. In your conclusion, briefly summarize your main points about the book's characters, plot, themes, etc. You can also provide personal statements, such as what impact the book had on you and why. State what you feel that the author may have omitted from the book or anything that the author intentionally or unintentionally left unresolved. Avoid making overly general, useless statements like "I enjoyed this book because it's interesting." Professors detest such lack of personality and originality. The thing that did not work for me was the space in the book that discussed on the status of the women after the reconstruction of the south. Little space in the book was set aside to discuss about the positive experiences that women enjoyed after the reconstruction of the south. In my opinion, the author should have given equal space in this section just the one used in explaining the bad experience that black women faced in the Antebellum America (White 33). During the 1920s, the Women's Ku Klux Klan or WKKK was formed, seen alternatively as an auxiliary unit to the main Klan or as a highly integrated yet semi-independent organization with its own agenda and its own method of achieving its ends. In her book Women of the Klan, Kathleen M. Blee provides a portrait of the WKKK and its members that is at once personal and political, much like the organization itself. She was awarded the Nobel Peace Prize in 1979. And in 1982 she persuaded the Israelis and Palestinians to stop shooting each other long enough for her to rescue thirty seven retarded children from a besieged Beirut hospital (Bryson 1997). She was awarded the Medal of Freedom in 1985, the highest U.S. civilian award. 1990 she announced her retirement and called upon a conclave of sisters to choose successor. However, in a secret ballot, Mother Teresa was re-elected with only one dissenting vote, her own (Bryson 1997). The book "Property" by Valerie Martin, written in 2003, takes place on an 1828 southern plantation. The main theme of this book is slavery, the "property" of the title, but it also illustrates how married women were "property" to their husbands, and that they had few rights to call their own. The main character, Manon Gaudet, narrates the book in first person, and she is both unsympathetic and intensely interesting at the same time.